The 21 year-old is a wonderful player to watch on the pitch. He possesses everything required in the modern game and was very much the unheralded man in the Spanish under-21 team over the summer. Having forced his way into the team by the end of the group stage, Koke’s movement and hard work were vital as Spain romped to the UEFA European under-21 title. He worked in tandem with Isco and Thiago as part of their energetic, busy midfield that swept aside all opponents. It was almost unfair on the other teams in the tournament that they had to deal with a team boasting such illustrious names who were all in breath-taking form as they retained the title won in 2011. However, the whole year has just been one massive tick next to Jorge Resurrección Merodio’s name. He’s played a big role in the Atlético Madrid and been at the heart of everything good the team has done. Koke has particularly sparkled since the UEFA win and has sent the last four months providing assists for everyone around him in the Atléti team. Koke always seems to be busy when Atlético play. If he isn’t on the play, driving the team forward then he is harassing the opposition player unlucky enough to have to take him on. He gets involved in the play wherever he can and that has seen his importance to Atlético sky-rocket. The partnership with Diego Costa at the front of the team is particular highlight; and one of the many reason Diego Simone’s side are being considered real and present dangers to Barcelona and Real Madrid in the hunt for the Liga BBVA title. Koke’s excellent ability and versatility have helped Atlético a lot. His natural instinct is to get the team moving forward, probing for chances to score. As such, he weighs in with goals and assists. However, he doesn’t allow his creative responsibilities dictate where he spends his time. When needed to drop deeper and dig in, he does. His work rate is a huge boost for a team that often have to change their game plan depending on the opposition. Having starred in the under-21 Championships, Koke is now in a fine position to kick on and become a regular part of the senior Spanish squad. The “new Spain,” as the players waiting in the wings for the likes of Xavi, Anders Iniesta and Carlos Puyol to step aside from the national team have been dubbed, are now starting to really impress in the league and European competition. As such, the pressure to include them in the Spain team is growing; even if Spain haven’t done too badly in major tournaments of late. Koke showed in June in Israel that he can handle tournament football; producing impressive performances within the space of four days of each other and that should improve his chances of being one of the 23 players selected to go to Brazil. The sheer volume of assists that he continues to provide for Spanish/Brazilian Diego Costa should see both sides of the partnership strongly considered by Vicente Del Bosque. 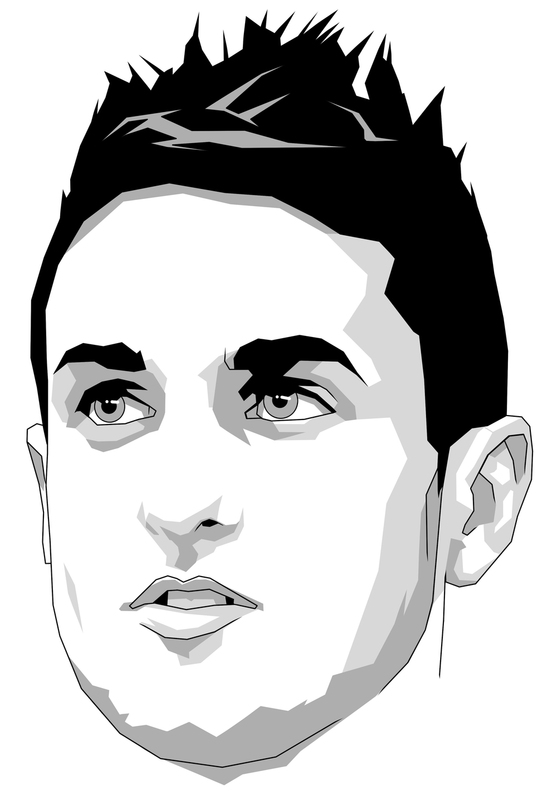 Koke is the complete 21st century midfielder and deserves the chance to represent Spain at the World Cup next year. That’s the immediate goal for the player and he’ll know the effort that will be asked of him to get one of those coveted seats on the plane. He’ll also have to put with fevered rumors about his immediate future so long as Atlético Madrid remain “unlikely” contenders for the league title. There will always be a member of the Champions League “elite” that tabloids will be able to link Koke to. Given his recent turns in the team there won’t be a fanbase across Europe that won’t be desperate to see unveiled clutching one of their shirts. However, it’ll take something really special to coax Koke away from Atlético. Having grown up nearby, progressed through the youth team ranks and now established himself as a first team regular, he is no doubt enjoying himself. Atlético are heading into 2014 as contenders for a first league title since 1996 and a sure bet to be a part of the Champions League next season. What can any other club offer Koke that he isn’t getting already? Precisely. For now; just sit back and enjoy one of the game’s brightest talents in full flow.